The Gander Heritage Memorial Park and Bell Aliant are seeking proposals from artists to showcase their work on a utility box located at corner of Lindbergh Road and Airport Boulevard, Gander NL. 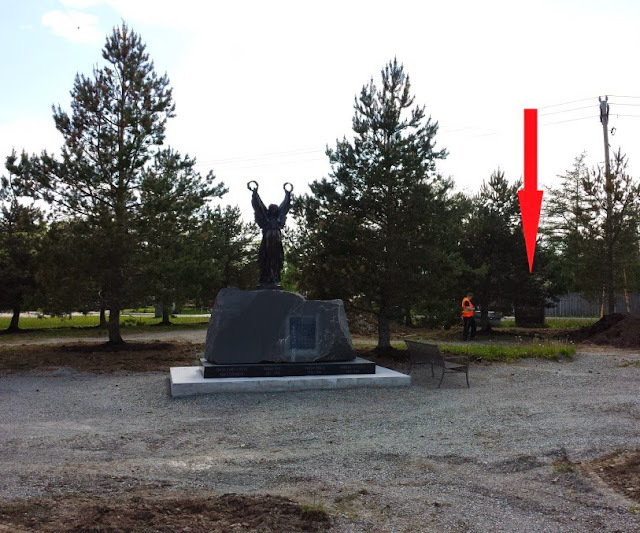 The art should relate to the area where the utility box is located and reflect the values and intentions of the Gander Heritage Memorial Park. Additional consideration can be given to a project that showcases Gander's Aviation, Military, or historic heritage. We suggest you visit our website to familiarize yourself with the Park's concept at: http://gslproject.blogspot.ca/. This Call for Artists is open to all adult and student practicing artists. The Call is also open to Art Teachers that are interested in mentoring a group of students. 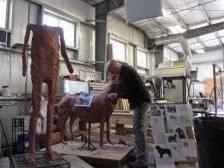 The artists may enlist assistants to help them complete the project. The art may include the name of the artist and the sponsor. Bell Aliant has generously donated $500.00 to the project. Mike Fantuz of Fantuz Artworks has donated an additional $250.00 to the winning entry and The Town of Gander has donated $250.00 making the total compensation $1000.00. 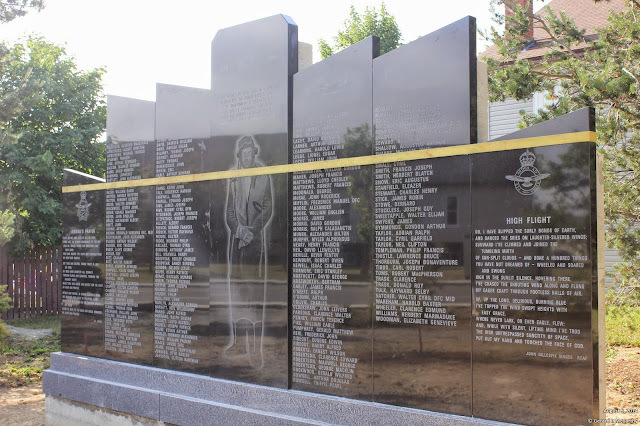 The utility box, located at the Gander Memorial Heritage Park (formerly known as The Cenotaph), is 58" wide, 53" high, and 11½" deep. It is currently brown and will require several sequential applications of paint to complete the project (1. sand, 2. prime, 3. paint, 4. finish with anti-graffiti clear coat). The box is visible to pedestrian, automobile, and other passing traffic. The proposed Utility Box Mural art must be acrylic paint and cover all four sides and the top of the box. Artists can submit more than one concept for the same location. All entries must be an original design and artwork must be respectful and must be suitable for viewing by all ages. Entries that use a copyrighted or trademarked image will not be accepted. In addition, the art must not be plagiarized, stolen, or copied from any other source. Entries must not defame or invade the rights of any person, living or dead. 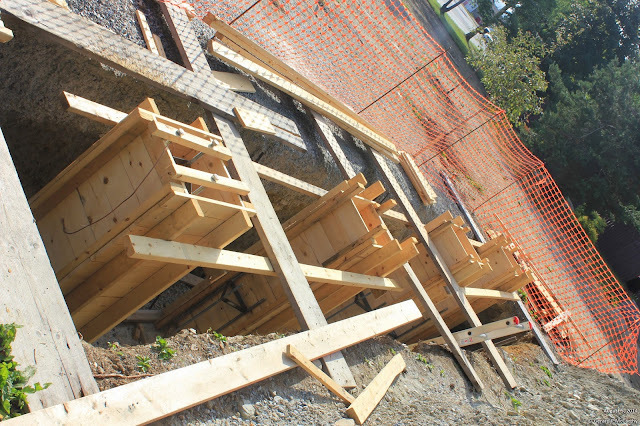 The artwork is a long-term installation and will become the property of the Town of Gander, as is the Park. The artist will be responsible to ensure the painting retains its original status. The artist will retain all copyrights. The art cannot restrict any vents or airflow through the box. Bell Aliant Maintenance crews must be able to fully access the components inside the box at all times. Artists are responsible for prepping and painting the utility box. An anti-graffiti clear coat must be applied to protect the art upon completion. To apply for this project, please email a digital copy of your proposal(s) to maxine@briggsaero.com or by mail to: Maxine Smith, P.O. Box 574, Gander, NL. A1V 2E1. If you have any question, please contact maxine@briggsaero.com or telephone 709-256-2770. A concept drawing that shows the front, sides, and top of the utility box. Submissions may be hand drawn or computer generated. All visuals including utility box designs must meet the online format specifications required for uploading: File type: JPG. As work is ongoing at the Park currently and as weather and conditions will certainly play a role in completion of the mural, we ask that you include with your proposal, a date you expect to commence and complete the painting. Only an artist can determine if painting the mural is possible with the current conditions of the park. In any case, the deadline for completion of the mural is June 30th, 2015. The Selection Committee will consist of members of the Gander Heritage Memorial Park and one visual art professional that is not a current member of the Park and who has not submitted a proposal. The Selection Committee will recommend which mural will be completed and it must meet the approval of Bell Aliant. Artistic excellence, innovation, and originality. Does the art show Gander's cultural diversity, historic heritage, or a key activity? The selected artist and all assistants must attend a meeting on a convenient date to discuss the commission and address any other relevant information. All artists must sign a liability release before beginning work on the selected utility box. The artist is responsible for obtaining the necessary art supplies and we suggest a safety vest be worn for clear visibility at the site. The painting of murals on utility boxes is common around the world, however, this will be a first for the Town of Gander and I am sure, will set a precedent and you will see a lot more calls to paint these boxes around town. 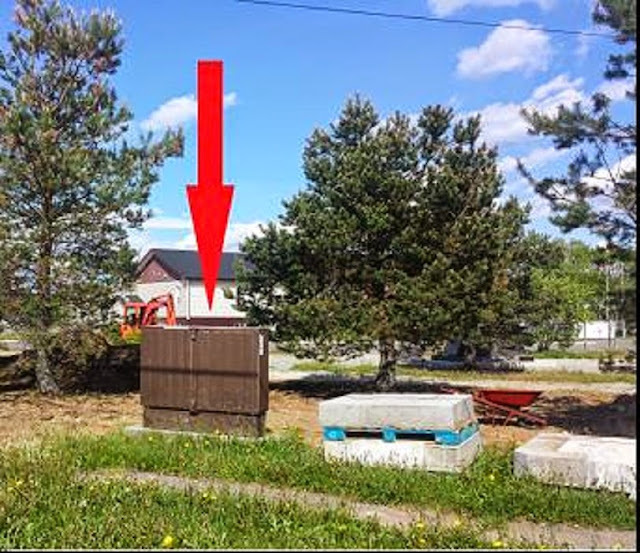 The artist cannot begin the installation on the selected utility box until all liability and contract forms are completed and submitted to the committee representing the Gander Heritage Memorial Park. If you are under the age of 18, a parent or guardian is required to sign all forms. Please contact Maxine Smith, maxine@briggsaero.com or tel. 709-256-2770. We are extremely pleased to acknowledge Victor Stanley of Dunkirk, MD. and Park Street Solutions Inc. of Kitchener, ON. for their generous contribution of $6,260.00 towards the purchase of park benches and litter receptacles. 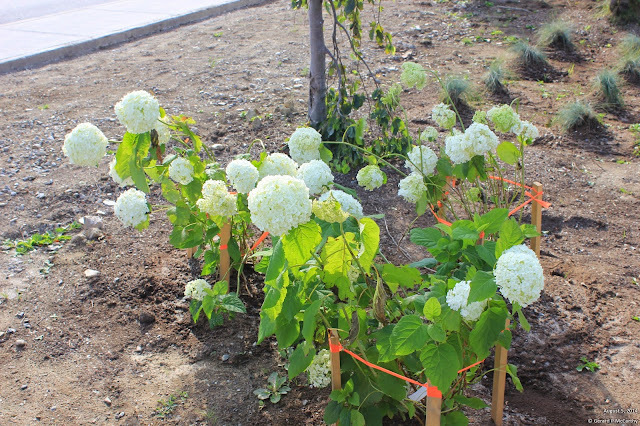 When the representatives of both companies learned about our project they quickly reduced their quote enabling the Park to purchase all four benches and all two litter receptacles (instead of two and one respectively). Sincere thanks go out to Kevin Bettridge and Emma Skalka for their efforts and kind consideration. I updated the Gratuitous Services section on the Donations page and also in the Ticker to the right! to jump to the updated Donations page to view the updated Gratuitous Services section. Reverend Wesley Oake, Honorary Patron of The Gander Heritage Memorial Park and Chairman, Wilson Hoffe gratefully accept a donation of $3000.00 from the Royal Canadian Legion Ladies Auxiliary, Gander. 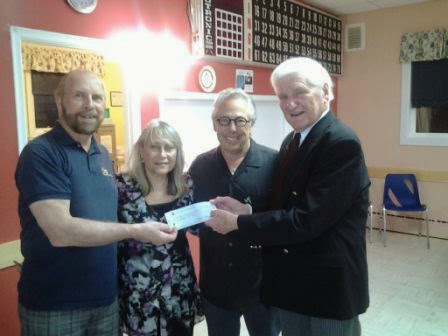 This represents the proceeds from the Cold Plate Take-Out Dinner held on April 9, 2014. We are extremely grateful to the Ladies Auxiliary for this, their third donation to the park, for a total of $5,500.00. This was a great fund-raiser and with help from some of the Park committee it went extremely well. There are some hard-working ladies in that Auxiliary and they are already planning their next event to raise even more funds for the Park. Thank you all so much! Kenny and Marleen Alhadeff of Seattle, WA were visiting Gander with playwrights Irene Carl Sankoff and husband David Hein. Sankoff and Hein have written a musical about the 9/11 experience in Gander and area called "Come From Away". With the other producers from Junk Yard Dog Productions, their plan is to continue to workshop the play with the intention of taking it to Broadway. As part of their research, the producers, director and playwrights visited Appleton, Glenwood, Gambo and Gander to learn more about the various responses to the needs of 9/11 passengers. 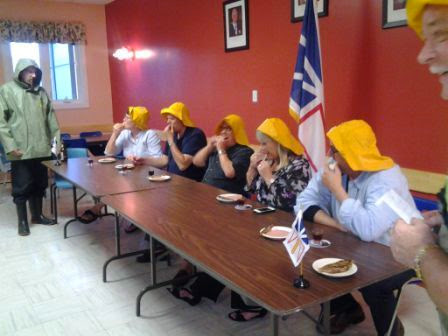 They were also treated to a Screech-In ceremony at the Royal Canadian Legion where they met Rev. Wesley Oake and learned about his courageous parachute jump and his fundraising endeavors for the Gander Heritage Memorial Park. They did not hesitate to make a donation of $1,000.00 USD to Rev. Oake on behalf of the Alhadeff Family Charitable Foundation which was formed in 1997. 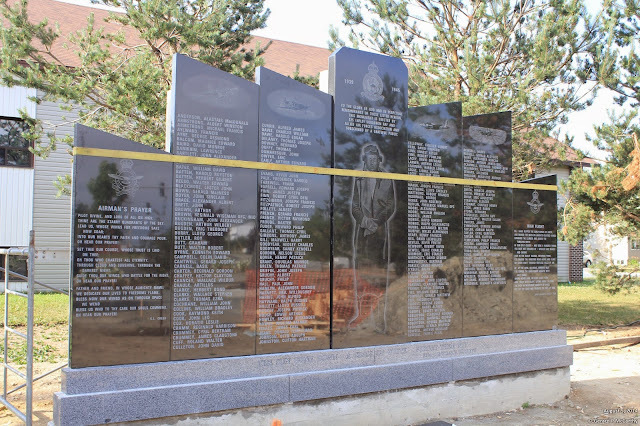 On behalf of the Gander Heritage Memorial Park and Rev. Oake, our sincere thanks for their generosity. Rev. Oake, and indeed the Park Committee, are in awe of the numerous donations we are receiving in his name since his successful parachute jump. Rev. Oake's goal was to raise $9,100.00 and at the time of his jump had already raised $13,000.00 and of this date, the contributions have risen to almost $19,000.00. This is absolutely magnificent and we can't thank you all enough. Each and every donation of $5, $10, $20, etc. brings us closer to completing this beautiful Park. It's impossible to single out any particular donation, however, Rev. Oake says one of the most emotional and inspiring donations came from the family of the late Capt. G. Campbell Eaton. Capt. Eaton served in the 166th Regiment of the Royal Artillery, which is the same regiment in which Rev. Oake served. 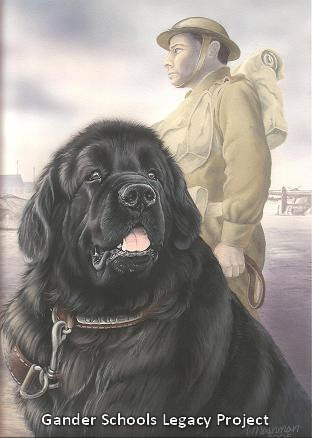 This Newfoundland Field Regiment fought in Britain, Africa and Italy in World War II for which Capt. Eaton received the Military Cross. 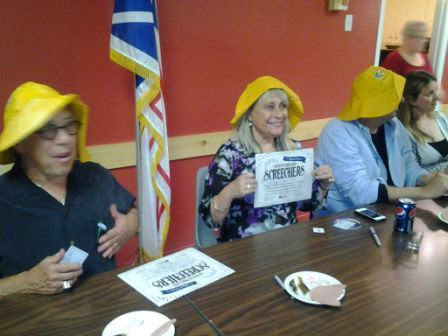 The family recently visited Gander and met with Rev. Oake and presented him with six donations of $166.00 each, representing the regiment number to which Rev. Oake and Capt. Eaton were assigned. Again, our sincere thanks to the Eaton family. The tender has been awarded for the laying of the walkway pavers and the plaza stones, however we still need to sell more plaza stones to pay the huge bills, not just the cost of purchasing them but to have them installed. Remember they are $100.00 each and are a great way to do an in-memoriam to a loved one. See "How Donations Will Work" on the Donations page of this website or at the end of this post. The forms are all ready for the pouring of the concrete for the 4 flagpoles and when this is done, that huge mound of dirt will disappear and in its place will be beautiful green grass. 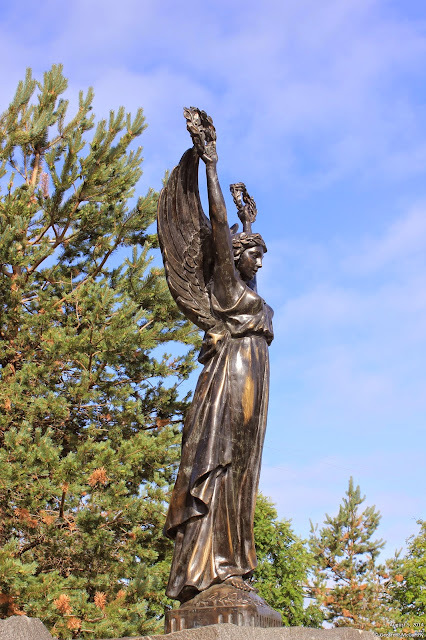 The new permanent bronze plaque for the Winged Victory is on order, which will be much larger than the temporary one which was hastily installed last year for the November 11th ceremonies. We hope it will be in place for the Battle of Britain Ceremonies on September 14th. We'll post photos of it with the new plaza stones in September. However, Winged Victory is magnificent thanks to the wonderful job of restoration done by sculptor, Morgan McDonald. Photos of the park in its present state courtesy of Gerard McCarthy. Thanks so much Gerard for taking the time to get the great photos and sharing them with everyone. 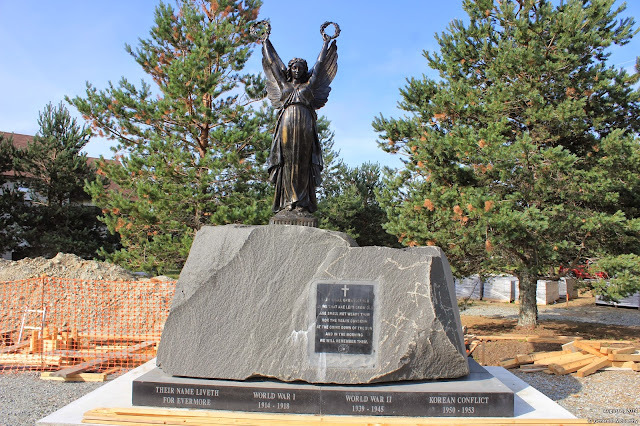 This is indeed the most significant monument and focal point of the entire park and was the main objective of the Gander Schools Legacy Project. We sure did not anticipate the huge undertaking when looking for an appropriate site for Sgt. Gander back in 2010. 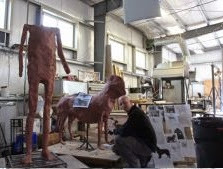 Sculptor, Morgan McDonald of Newfoundland Bronze Foundry sent us these progress photos with his 'technical' explanations. "This needs a good bit of clay modeling so there is nothing impressive to look at yet. You can see the size in the photo, and get the sense of scale next to me sculpting. Gander is on the right side of the soldier, this is where his leash will go. He is quite big, so much so you may say he is larger than life." Morgan also went on to say: "I have to say I am blown away by Rev Oake. His efforts, past and present, risking life and limb for the benefit of us all is humbling. He is an inspiring individual to say the least. Watching the video of him jumping out of the plane to bring awareness to this project filled me with a sense of pride to be working with such individuals. I will be thinking of this when sculpting.". Thank you, Morgan. We are so anxious to see the two sculptures completed and are anticipating the unveiling to be held mid-September during the Battle of Britain Ceremonies at the Park. The initial budget of $450,000.00 for the Park, done several years ago, was based on considerable in-kind labour and materials. However, in many instances these contributions have not been possible due to circumstances beyond the control of these promised contractors/suppliers. Having spent last summer depending on the availability of gratis equipment, materials, etc. progress was extremely slow. This year to ensure steady progress and to reach our goals of having several phases completed this year, we have had to hire a Site Manager, rent a great deal of equipment, hire contractors and purchase materials, which was not all included in the budget. We have tightened our belts, so to say, and have obtained 3-4 quotes on every purchase and service so as to select the lowest bid and in some cases, have been able to have these contracts completed at cost or reduced rates. Even with these tight restraints, the Engineering and Design Consultants have had to re-work the budget and have presented us with a new target cost of $540,000.00. We are actively working on new fund-raising ideas and although the donations to date have been fantastic and we know you have all dug deep in your pockets, we still need the assistance of the public and businesses. Please spread the word about this scenic and historic park and get family, friends and business associates involved. If you have ideas for fund-raising or donations we would be grateful to have them or even if you can volunteer some labour, we can certainly use extra hands at times. Email maxine@briggsaero.com if you can help. Thank You! We now have an updated Donations page and an updated Donations Progress Bar with an updated Ticker on the right. As of July 31 2014 we have achieved 77.7% of our target which amounts to $419,577 of our target total of $540,000. Thank you to all who have donated your time or financial aid ... much appreciated! The progress bar now depicts the percentage based on the new budget target. Bell Aliant has generously donated $500.00 to the project. Mike Fantuz of Fantuz Artworks has donated an additional $250.00 to the winning entry. However, as the Park is being constructed from monies collected entirely through donations, gratuitous services, and Federal, Provincial and Municipal assistance, other costs may not be covered so we ask that you submit a quotation with your proposal. Name, address, phone and email. Artist website link or samples of past artistry. As work is ongoing at the Park currently and as weather and conditions will certainly play a role in completion of the mural, we ask that you include with your proposal, a date you expect to commence and complete the painting. Only an artist can determine if painting the mural is possible with the current conditions of the park. Does the art meet the goals of the project? Does the art relate to the area where the utility box is located?